These sunglasses are awesome and the price was even better. The lenses are mirrored. They fit really well. I would recommend to anyone purchasing these to go for it, the price cannot be beaten. 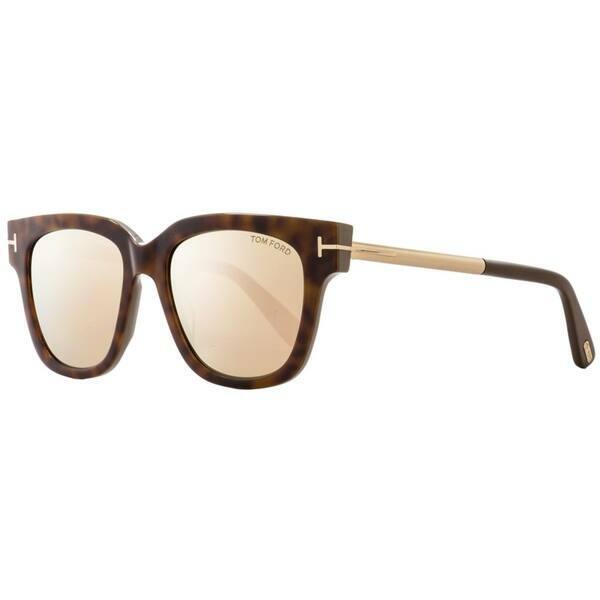 The Tom Ford 436 Tracy Sunglasses feature a square lens shape for women. Tubular metal temples and signature Tom Ford details make these sunglasses fashion forward. Made of natural Acetate these sunglasses are comfortable to wear. Tom Ford eyewear are some of the most instantly recognizable in the world. Providing 100% UV protection from the suns harmful rays these sunglasses are functional in addition to being fashionable. I will be returning these - I purchased them in black several years ago and had been looking for a brown pair... these were very, very large on my head [and my head is not small! ], such that I could not move without them falling off. Much too large/wide.